Edwards Driving School offer driving lessons in Bournemouth and the surrounding areas. Our driving school is based in Bournemouth and this has been the beating heart of our business. 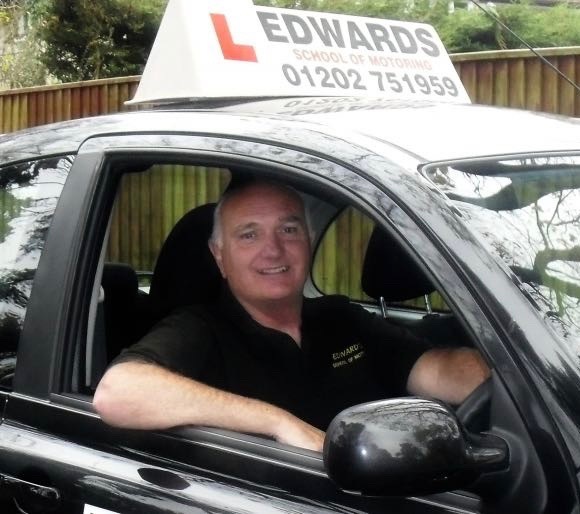 I’m Edwards School of Motoring founder and the driving instructor in Bournemouth, Steve Edwards. If you’re looking for an experienced driving instructor who’s seen it all and completely understands any worries you have then I can help. I’m here to help facilitate your learning on the road. I realise learning to drive can be daunting, so I teach you in a fun, calm and patient manner. You’ll be driving through Bournemouth in rush hour with ease in no time at all. What type of driving lessons in Bournemouth do we offer? We teach driving lessons to absolute beginners, novice and all the way through to those who have passed and may want to refresh their knowledge. Why choose us for your driving lessons in Bournemouth? We can fit in lessons to suit you. Whether you’re a busy working mum and can only get an hour in per week or are a Bournemouth College student who would like to pass quickly in the easter holiday, we can fit you in. Or pick you up from Bournemouth School and then drop you at your mates house. You get the idea. What do driving lessons in Bournemouth cost?